DIY Jewelry Storage – The Natural Way! 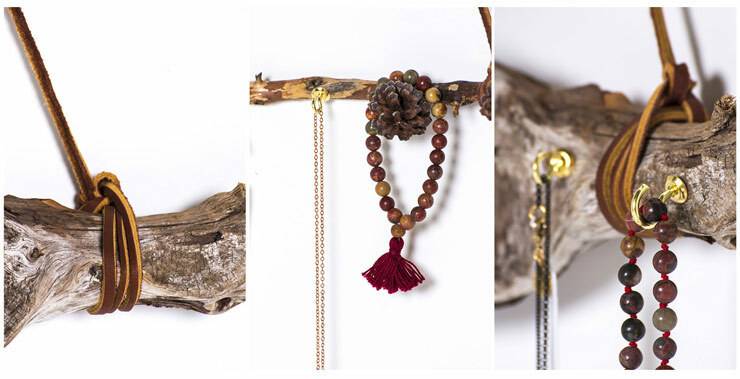 Are you looking for a creative and natural way to store your bohemian jewelry? 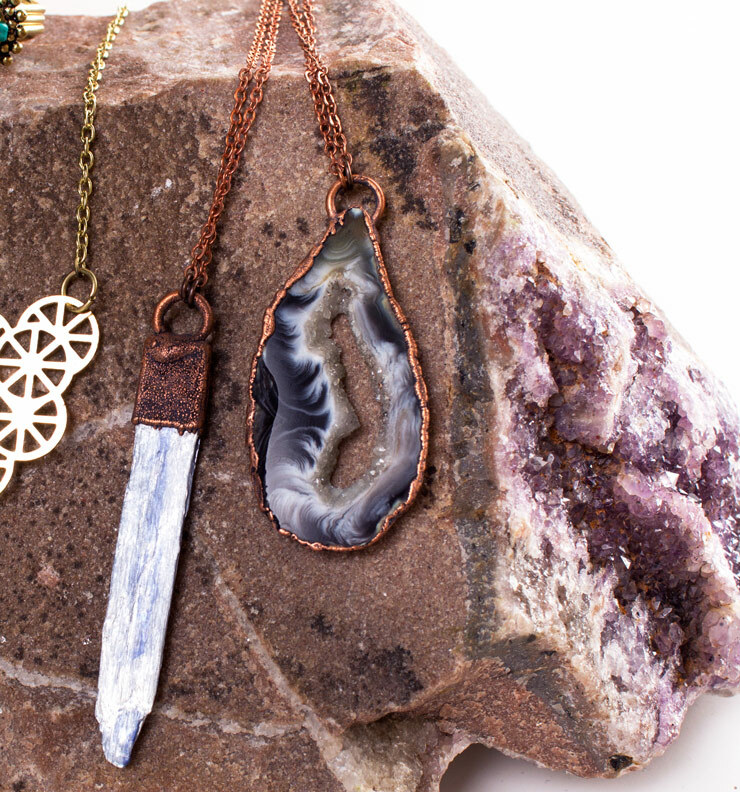 Then try this DIY Jewelry Storage idea from Rachel (our Soul Flower Graphic Artist). Rachel made these unique driftwood jewelry storage pieces for organizing her funky necklaces, bracelets and other Soul Flower boho jewelry. 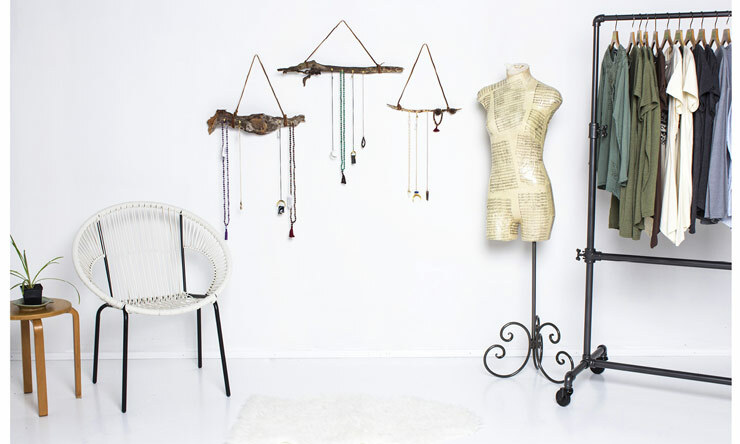 Read on for details on how to make your very own Driftwood Jewelry Storage Rack. 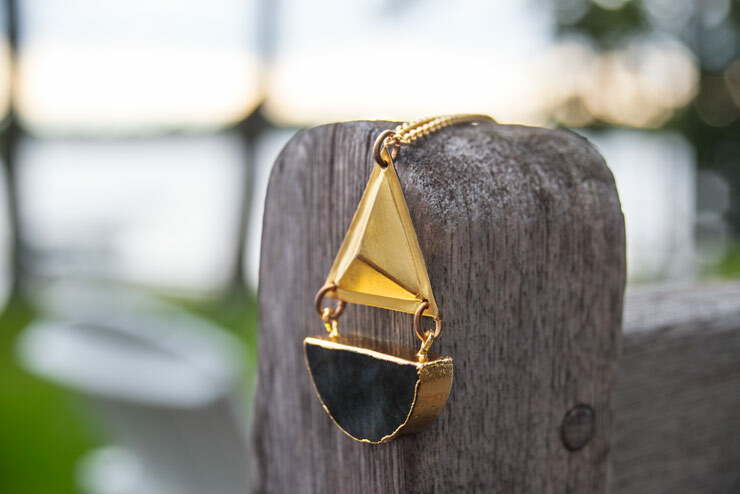 Store your Boho Hippie Jewelry! 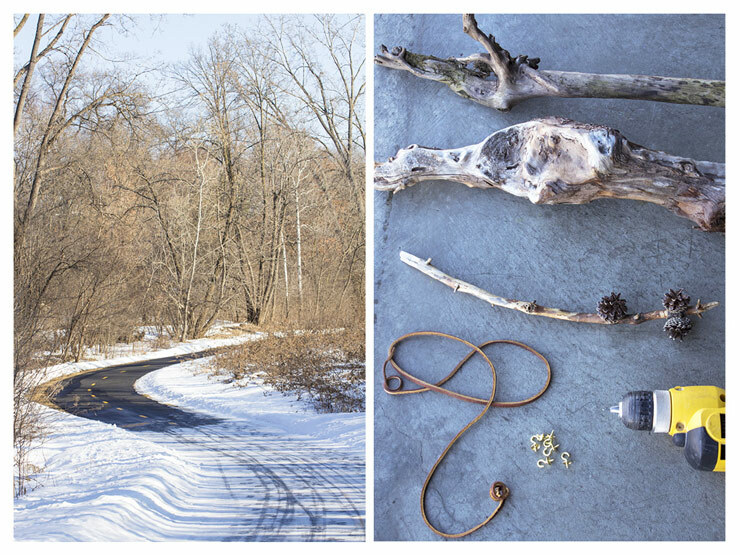 In true DIY spirit, start by going for a nice nature walk and look for sticks, branches, driftwood, or roots. Character is key! Find what speaks to you! Take a trip to the hardware store and pick yourself up some cup hooks (I bought a few different sizes to use). Search through your junk drawer (you’re looking for something to hang the branches with). I found some old leather cord. You could also try hemp or any other kind of string that’s pleasing to your eye. I found it helpful to attach the cord right away. You may want to do quick knots at this point just to get a feel for how the branch will balance then go back and clean up your knots. While it’s hanging on the wall sketch a few x’s to see where the hooks will best fit. (You can get detailed if you like by measuring a dot every few inches or just eyeball it and vibe off the way the branch moves). Now drill the wholes and screw in your hooks! I used the smallest drill bit I could find – you can just use what fits your hook size. Step 3: Hang ’em up! 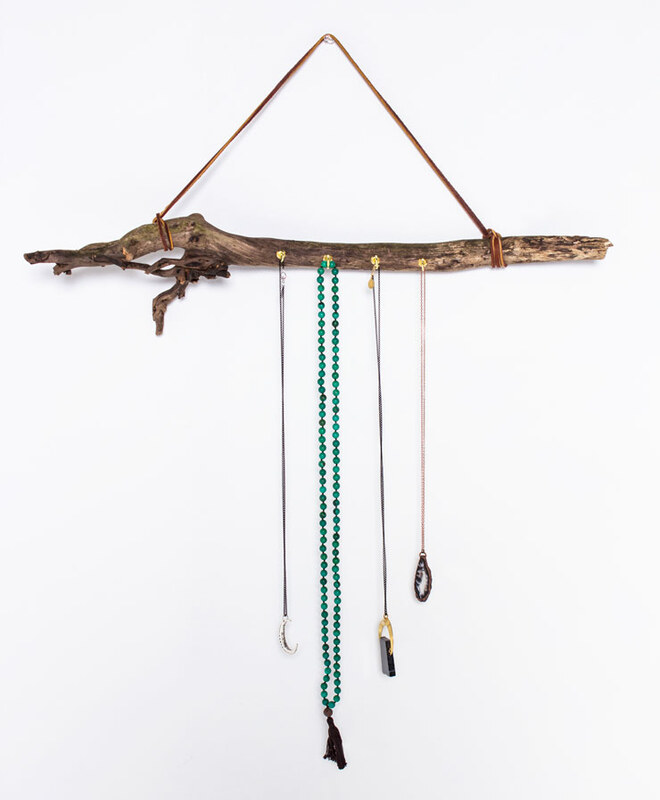 Have fun balancing your boho necklaces and boho bracelets on your new jewelry hangers. I encourage you to get inspired and revamp your room around these funky pieces. It’s never a bad time to freshen up your living space! 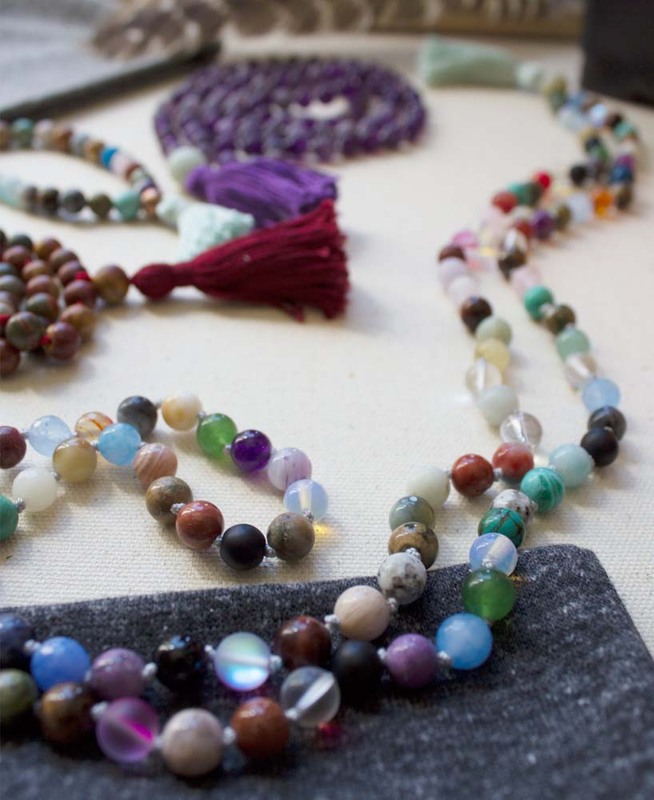 1 Comment on DIY Jewelry Storage – The Natural Way! I love this idea! I have sooooo many necklaces that I bought & made, that I would have to make a driftwood tree. HAHAHAHAHA!